The film database contains a register of all the film and audio recordings as well as TV, radio, audio, music, film and media productions that deal with Nella Dan. 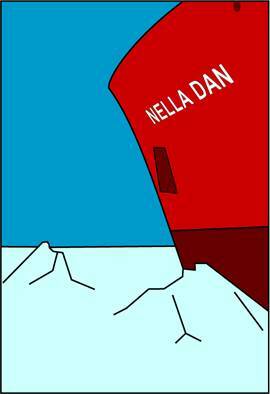 Currently, the database contains records of more than 110 recordings and productions pertaining to Nella Dan. We are still looking for unknown material to add to the archive. The material is collected in order to preserve it for posterity and make it accessible to new projects that bring the stories about Nella Dan to a wider audience. All further use of materials from the Nella Dan Archive is subject to the rights associated with the particular material. Some material may not have been released for online use. Access to and use of materials from the Nella Dan Archive are always subject to prior arrangement with the board of Friends of Nella Dan or Springeren – Maritime Experience Centre in Aalborg.